The Crystal Tones from New Britain, CT. consisted of Rich "Chris" Criscitello (Lead),Joe Difusco(Baritone),Billy Lebarre(Tenor) and Frank Morgan(Baritone). 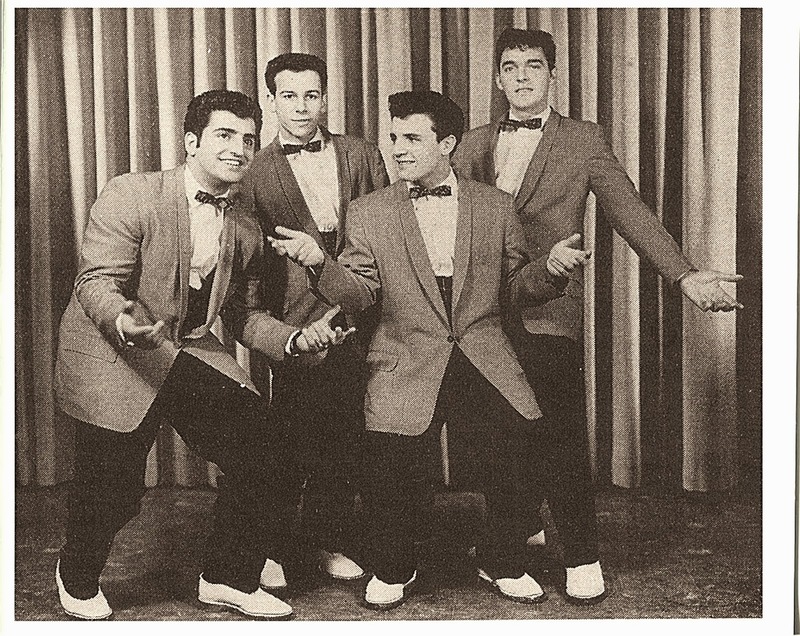 They were discovered by Frank A. Zenobi when singing acappella in the street (front Pat's Luncheonette), he signed as their manager and named the guys The Crystal Tones by their sound "their tone seemed to crystalize to a fine blend". Frank want recorded the group on his own label and with arranger/guitarist Mickey Moroni create M-Z Records (M by Moroni and Z by Zenobi).the new label send The Crystal TRones to Al Soyka's studio in Somers, CT. where recorded six sides_A Girl I Love/Debra-Lee/The Beating Of My Heart/I Apologize/At My Front Door/Gloria. in this recording session Rich Leone singing as 2º Tenor. In late 1959 M-Z Records released_A Girl I Love/Debra-Lee. the B Side was very popular and the group have live perfomances in Ohio,New York,Pennsylvania as well as local appearances in New Haven and Hartford (They were invited to the Ed Sulliwan Show but refused the invitation because they weren't going to get paid). 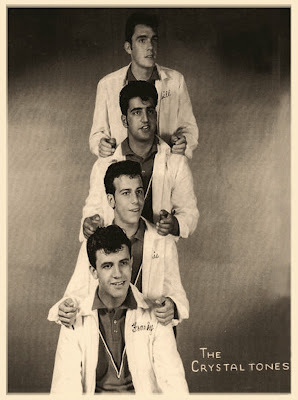 In 1960 the group back up to Billy James (see in this blog GROUP HISTORY; Billy James & The Stanotones) in his M-Z sides_Meant For Me/It's The Twist. 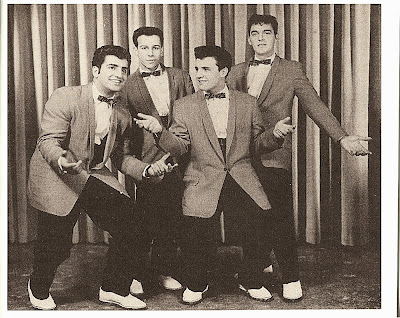 The Crystal Tones were truly one of Connecticut's top doo wop groups but as recorded for a small label never have a national recognition. 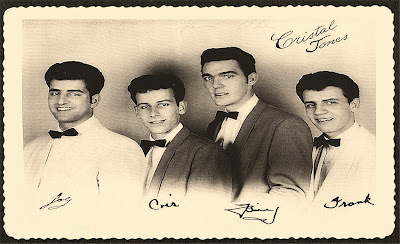 In Late 80's Cris and Rich perfoming in Connecticut with a vocal group know as "The New Crystal Tones". In 1989 the unreleasd sides_The Beating Of My Heart/I Apologize. were released as a M-Z Single and _At My Front Door/Gloria. 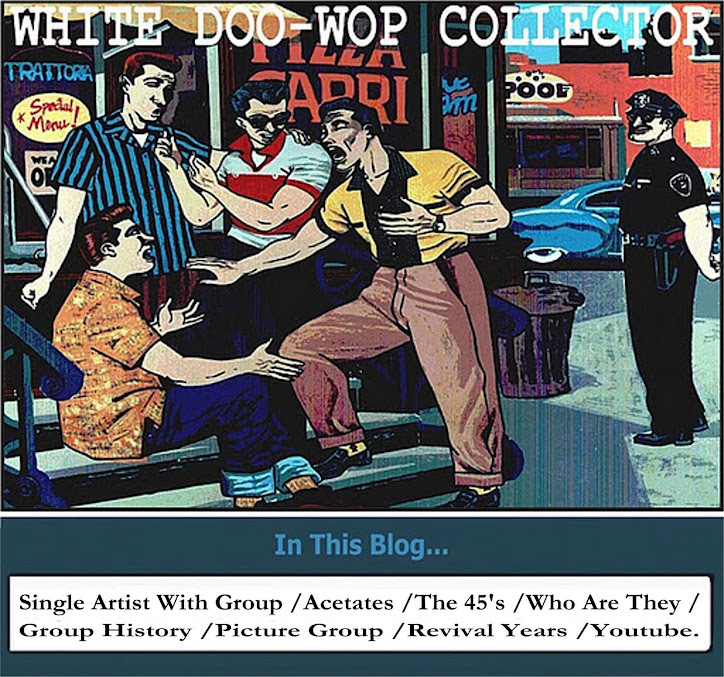 appear for first time in a doo wop album.